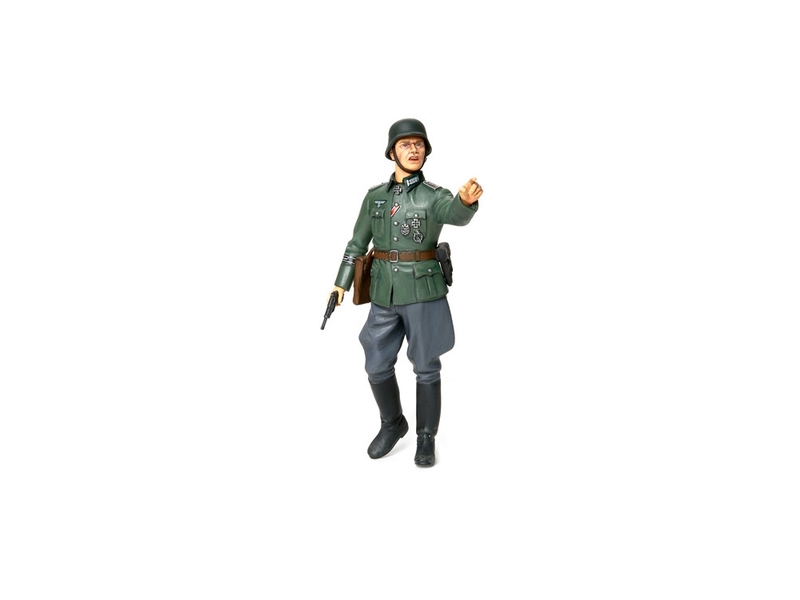 1/16 scale model of a German Field Officer. The officer is wearing an officer tunic, riding trousers, boots, as well as a helmet. The Iron Cross medallion and shoulder and collar insignias are accurately depicted. The P38 pistol, holster, and map case all have a detailed finish.